“‘Is Mormonism Christian?’ is a very important question,” thoughtfully poses LDS critic Matt Slick, of the Christian Apologetics and Research Ministry (CARM), “The answer is equally important and simple. No. 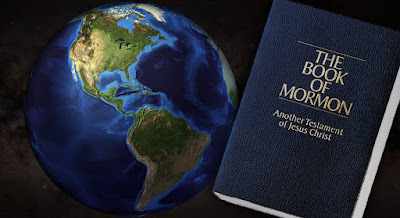 Mormonism is not Christian.” Another article sponsored by CARM asks, “So, is Mormonism Christian? No, it is not.” Equally thoughtful is the Institute of Religious Research (IRR), “Is Mormonism Christian? This may seem like a puzzling question to many Mormons as well as to some Christians.” The question, however, is not nearly as puzzling for Mormons as the answer, “we cannot consider them brothers and sisters in Christ,” so says the IRR. Pastor Cooper Abrams declares, “The answer to the question, ‘Are Mormons Christians,’ is simple. They are not Christians for several reasons,” and author Richard Abanes writes, “in answer to the question ‘Are Mormons Christians?,’ the only theologically accurate answer that can be given is no.” While on the other hand, LDS apologist Jeff Lindsey insists, “Are Latter-day Saints Christians? YES!” Another Mormon apologist, Dennis K. Brown, writes, “As members of The Church of Jesus Christ of Latter-day Saints, we are Christians, whatever the rest of the world might say.” Benjamin I. Huff responds, “Of course Mormonism is Christian.” To these many more could be added. As you can see, today the question is frequently asked (or, really, rhetorically posed) by both critics and apologists of the LDS Church, “Are Mormons Christians?” or “Is Mormonism Christian?” For the critics, the answer is always “no,” while for the apologists, the answer is always “yes,” and for both critics and apologists the answer is always “simple,” “clear,” and “obvious.” It is easy to understand, then, why the average person is so confused on what should be a simple question: Are Mormons Christians? This page has been set up to try help others resolve that confusion. Too me, because of those five reasons and their implications, it is obvious that Mormons are Christians. Objective sources have repeatedly defined Mormons as Christians. Those who would like to define Mormons as non-Christian must reinvent the definition of Christian, and are usually driven by some hostile, anti-Mormon agenda. Mormons are not Christians Because…?